Bridgehead is an unincorporated community in Contra Costa County, California, United States. It is located on the south bank of the San Joaquin River 3.25 miles (5.2 km) east of Antioch, at an elevation of 36 feet (11 m). The Antioch Bridge crosses the river at this point, hence the name. 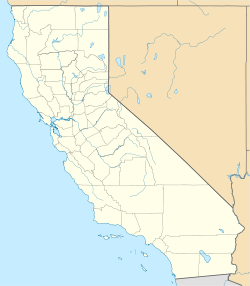 ^ a b c d e f "Bridgehead (Contra Costa County, California)". Geographic Names Information System. United States Geological Survey. Retrieved May 10, 2014. ^ a b "FIPS55 Data: California". FIPS55 Data. United States Geological Survey. February 23, 2006. Archived from the original on June 18, 2006. Retrieved May 10, 2014. This page was last edited on 14 March 2017, at 04:44 (UTC).